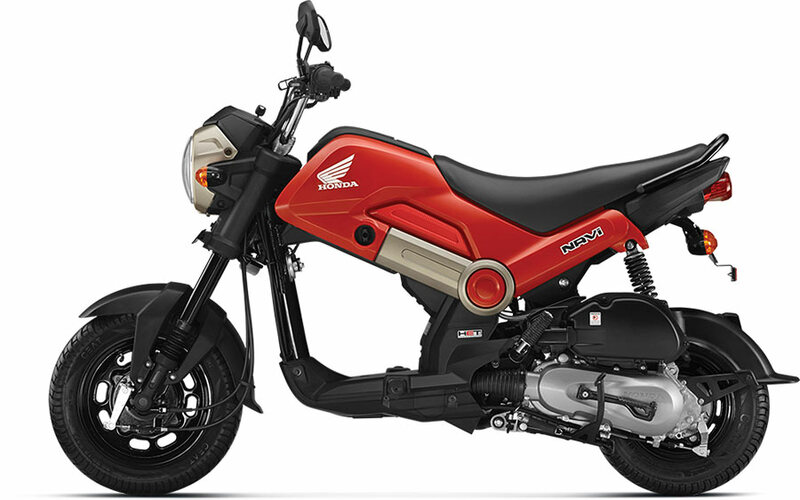 The Patriot Red is the character color used in all promotional materials of Honda NAVI bike. This is how Honda NAVi looks like in Patriot Red color. 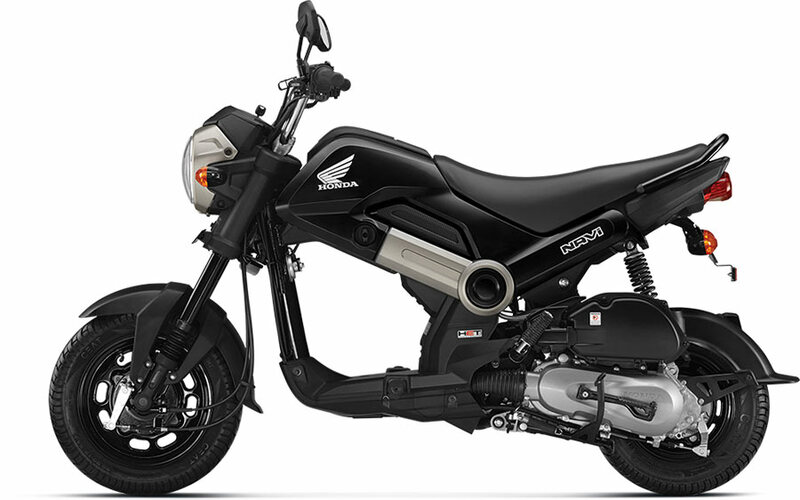 Check out the photo of Honda NAVi in Black color. This color somewhat resembles to KTM Duke’s orange. The Honda NAVi looks brilliant and adventurous in Sparky Orange color as well. For all the peace loving people who loves the color white, they can pick the Shasta White color of Honda NAVi. 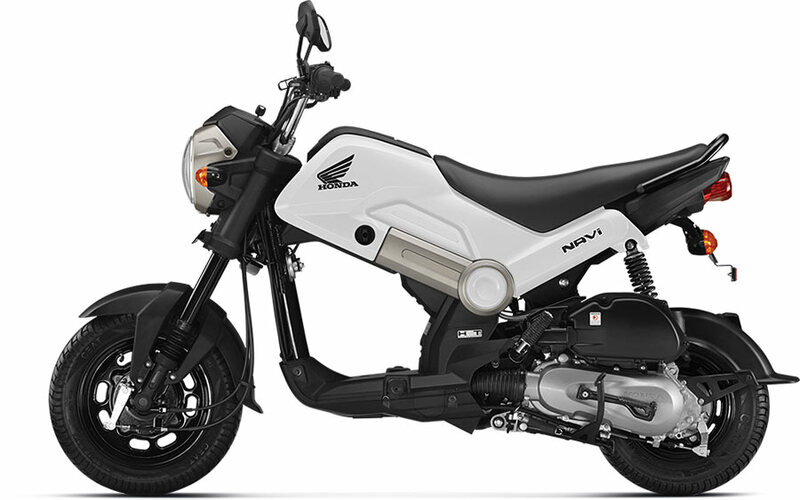 Powered by 110cc, 4-stroke SI Engine, this bike offers pretty decent power and torque figures. (7.8 bhp and 8.96 Nm respectively). The unique design of the bike, black coated wheels gives it a “little toy” feeling. Needless to say, Honda NAVi surely grabs anyone’s attention during the ride. You can check our experience by reading the Honda NAVi review. Although the fuel tank capacity is less (3.5 litres), NAVi is good for small-distance urban commute. The on road price of the bike is less than 50,000 INR (Bangalore) and one might nit have deep pockets to buy this bike. Honda NAVi is honestly a fun-to-ride bike. The colors and upgrades/accessories which NAVi offers further enhances the sportiness of the bike. 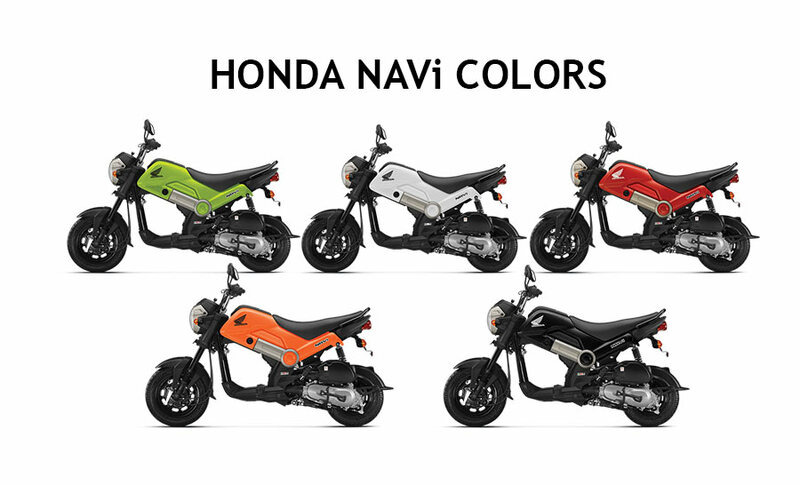 So, which Honda NAVi color variant are you planning to buy?